Stratus4M and Stratus12M do work with the CNIB Library Direct to Player download. Any new or existing Stratus players must be “programmed” by the CNIB Library themselves as they need to build the profile and activate the units. Contact your local CNIB office for assistance. In addition to playing CDs, the Stratus M model support additional media sources, including USB flash memory and an SD card. With the Stratus M's built-in text-to-speech capability, you can even play computer text documents saved to these external media. 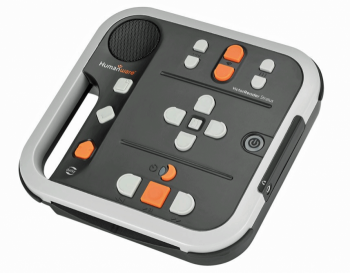 The Stratus 4 M or Stratus12 M models both support adaptive switch input for alternate access enabling people with physical disabilities to use the Stratus independently. A USB switch interface connected to the Stratus USB port is required to support the adaptive switch connection.